Our organization provides expert driveway cleaning, jet washing, patio cleaning and other exterior cleaning of decks, drives and paths. We have powerful pressure washing equipments, and will help make your outdoor space look revived. So, if your outdoor or indoor hard floor needs cleaning, ensure that you book our jet washing and hard floor cleaning services! We have been deliveringbusiness and home owners in Village SE22 with a qualified hard floor cleaning, scrubbing, polishing, sealing , anti-slip protection service and tile recoat since Excellent Carpet Cleaning was established back in 2005. 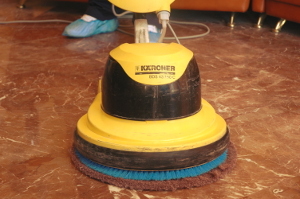 We are well-known for our high quality and reliable polishing and hard floor cleaning services, grout and tile cleaning, recolouring and grout colour sealing, repair of ceramic and porcelain hard floors as well as for our skilled vinyl floor cleaning, specialized stone and slate floor cleaning, expert floor sealing and polishing and the hard floor sanding service. During the years, we have become one of the top preferred local suppliers of commercial and domestic hard floor maintenance and cleaning services. Purchasing one or more of our expert cleaning services is easy, quick and totally free. Get in touch with our helpful customer support team, and you will get written confirmation for your booking in no more than 2 hours. Contact them via the online booking form right here, or by dialling 020 3404 0500. No advance payment is required. All of our cleaning costs are fixed without any covered fees. We offer cleaning on holidays or weekends too. If you request a combination of Two or more of our cleaning services at the same time, we will give you very attractive discounts from our value. If you reserve early on or you are a regular customer, you will be rewarded with our exclusive prices. These rates are also viable for all local owners and firms. Book our jet washing and hard floor service now to get your floors safe for walking, rejuvenated and cleaned.